Talc is a Hydrous magnesium silicate which may be green, white, gray, brown or colorless. It is the softest translucent mineral with a pearly luster. It is a monoclinic mineral having a sheet like structure similar to micas. With extreme softness, the greasy and soapy feel of this mineral being high temperature lubricant. Talc is made when heated waters with dissolved magnesium and silica came in reaction with dolomitic marbles. Other method is when heat and chemical fluids altered rocks into talc. Most of the talc deposits are found in metamorphic rocks and produced from an open pit mine. Here, the rock is drilled, blasted and then partially crushed during the mining process. This partly crushed rock is then further reduced into particle size in a mill. Here, the finely ground talc is prepared which meets customer's requirements. The impurities are removed from various processes, like froth flotation or mechanical processing. 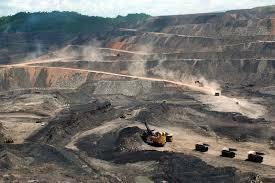 Mining is not only about extracting the minerals, but a great care has also to be taken to assure good quality. Otherwise, Talc can be contaminated with other rock materials which leads to adverse effect on the color of product. As talc is used in multiple applications where softness and lubricating properties are needed, contamination can reduce these features with the addition of hard particles. Talc has the use in many applications, including Plastics, Paints, Ceramics, Paper, Cosmetics, and Antiperspirants. A common type of talc called Soapstone is used for making ornamental objects, sculptures, bowls, and many other products. Talc is an important ingredient in many applications, like in many cosmetics, rubber, as a filler, whitening and brightening agent in paint and paper. Ishwar Mining & Industrial Corporation is a leader for mining and processing of minerals Diaspore and Pyrophyllite, with unmatched quality and high standard attained. With 70 years of experience, it produce 50% of the country's total supply of Diaspore and 11% of the country's total supply of Pyrophyllite. Moreover, the quality made them lead various awards in mining for safety and performance.